The Controller appointed the Data Protection Officer (Polish abbreviation: IOD) that can be contacted in all matters concerning the processing of personal data by BOSMAL and the exercise of rights related to the processing of such data. The Institute conducts vehicle testing under various road and climate conditions. Permanent routes outside Poland (with special requirements (e.g. regarding temperature or altitude) are located in Italy, Spain, Sweden, Ukraine and other European countries. Some sample routes are shown below. 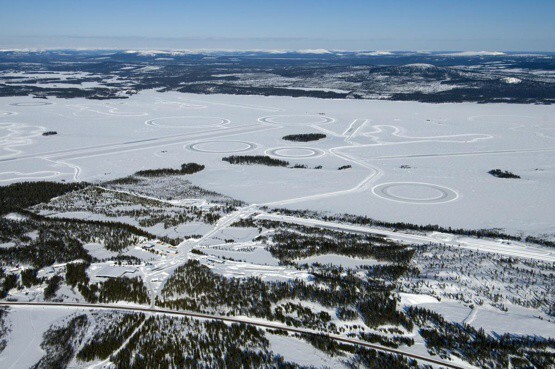 Road tests conducted on a test track on a frozen lake in Arjeplog-Colmis.